Hair loss has many different causes. Some involve genetic factors, others involve systemic disorders and hormonal diseases that can alter your overall health. The team at the Boston, New Jersey, and Manhattan hair transplant surgery centers of True & Dorin Medical Group have helped many different patients deal with their hair loss no matter the initial cause. During the consultation process, we assess your situation and figure out the best possible way to achieve hair restoration that is natural looking and effective. One cause of hair loss that people usually don’t think about is diabetes. And yet given that diabetes causes hormonal changes in the body and can put major stress on a person and his or her nervous system, it should come as no surprise that one symptom of diabetes can be hair loss. 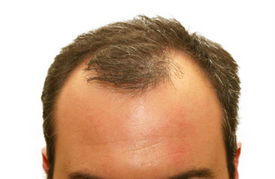 Let’s take a look at how diabetes can lead to hair loss and what treatments there are for it. Diabetes, as you may already be aware, is a health condition in which a person’s body is not able to properly convert glucose into energy, leading to increase levels of sugar in a person’s blood. This leads to excess build up of fat as well as poor blood circulation. The body needs to expend lots energy to process the high level of sugar in the blood, which means that hair follicles may be deprived of essential nutrients to maintain their health and viability. And as mentioned above, since diabetes can trigger hormonal changes in the body, this too can lead to hair loss, among other symptoms. Diabetes itself is uncurable, but there are plenty of ways that you can manage your health and live with diabetes. This will include dietary changes and regular exercise, and it can also involve medications to help manage your blood sugar. As for treatments that are viable for you and your needs, it’s important to consult with your physician and a member of the True & Dorin Medical Group team to go over all of your options. The type of diabetes that you have and other variables in your medical history may prevent you from undergoing certain hair restoration treatments. To learn more about diabetes and balding, hair transplant costs in Manhattan, and other topics related to hair regrowth, be sure to contact our Manhattan hair loss surgery and restoration center today. We can discuss these matters in greater detail during a consultation.